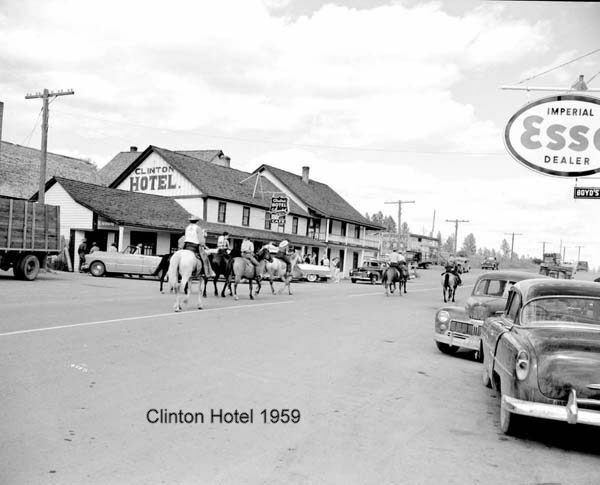 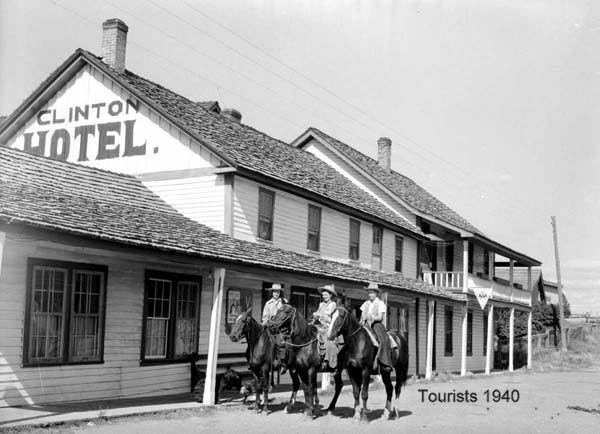 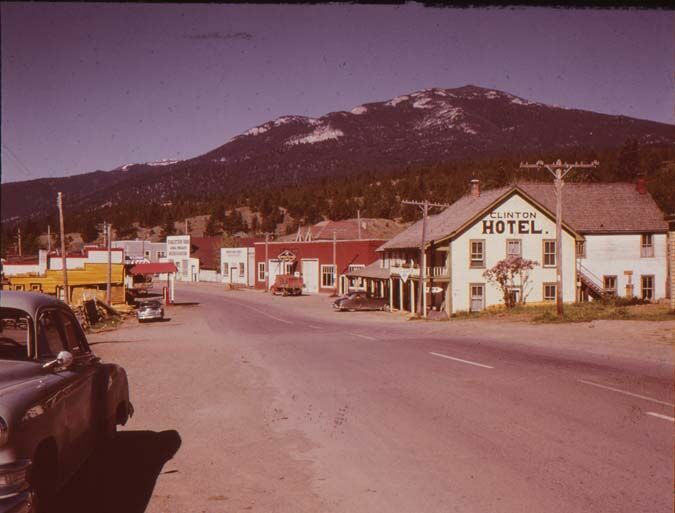 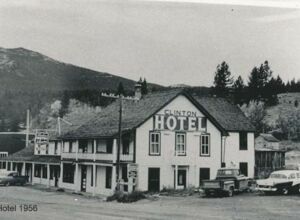 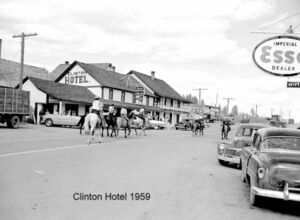 The Clinton Hotel on the right 1950 photo by Ken Sigfusson. 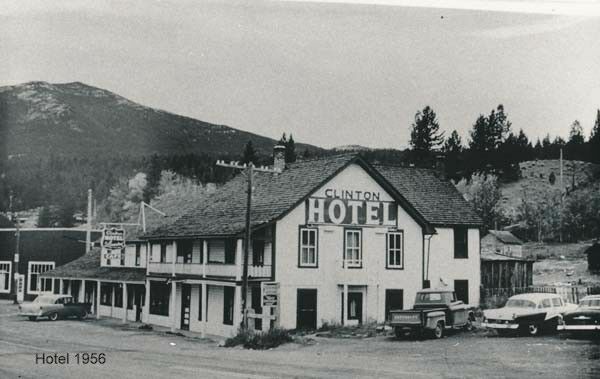 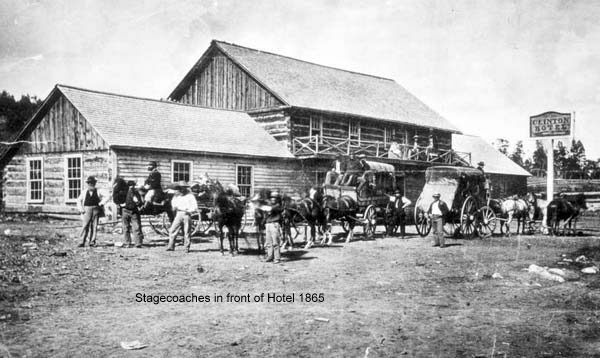 Built in 1862, it was one of the most venerable and significant buildings in the BC Interior. 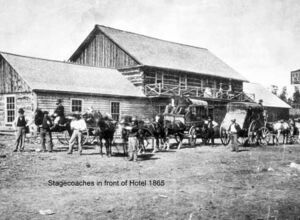 There is a detailed history of it in Branwen Patenaude's Trails to Gold. 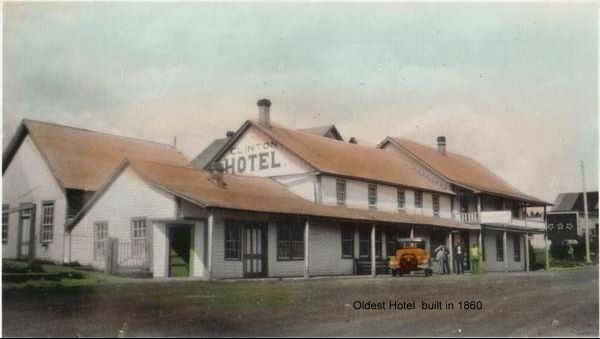 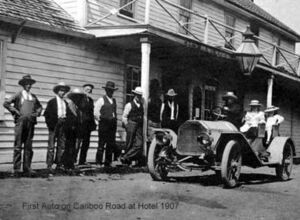 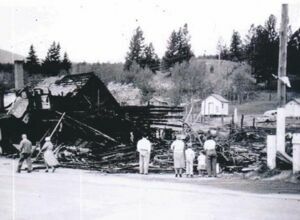 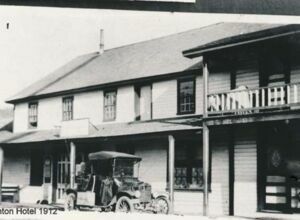 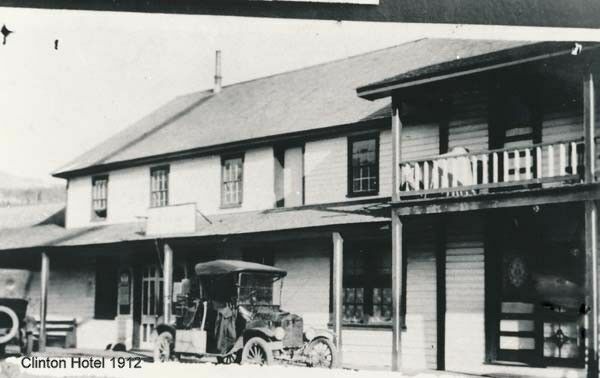 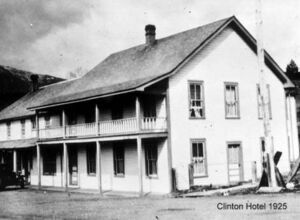 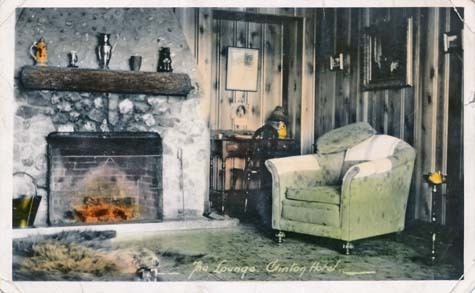 Erected by Watson and Co., it had a large bar room, a private sitting room, bedrooms with "Pulu" matresses, free bunks fro those who brought their own blankets and good food. 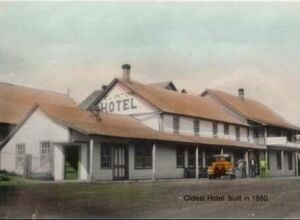 It survived for almost a centry, its billiard room becoming the scene of the annual ball. 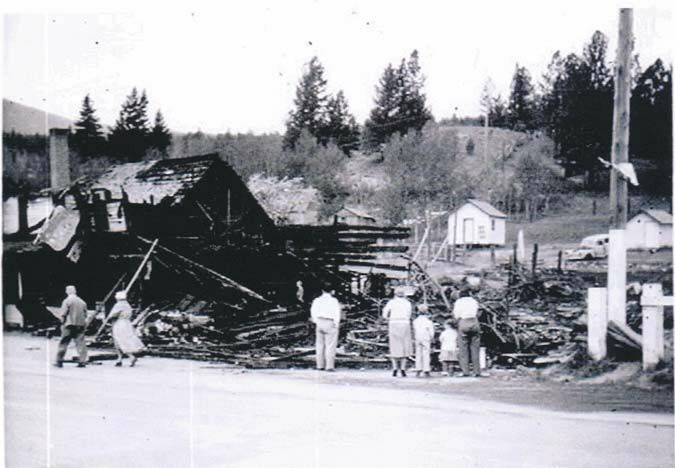 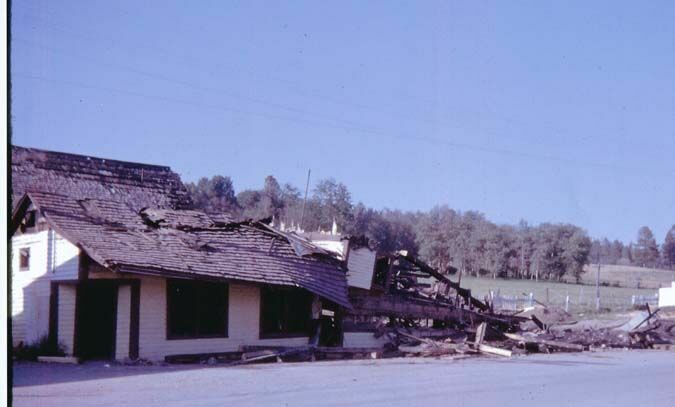 Ironically, it was after the ball in May, 1958 -- the province's centennial-- that the hotel caught fire. 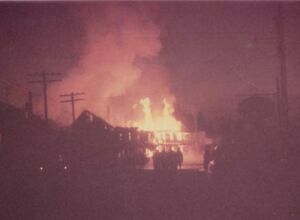 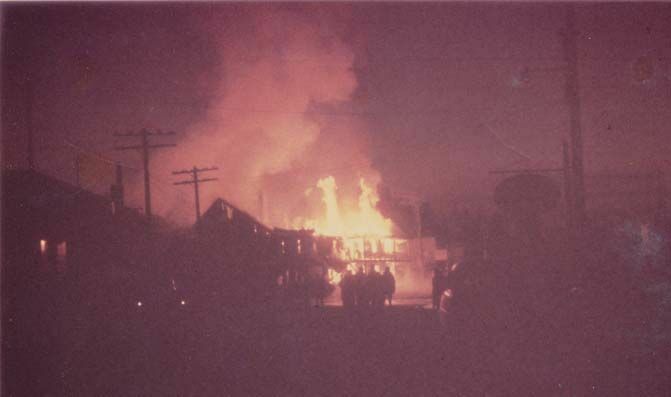 All the guests got out except for a couple and their child who, although awakened by the manager, went back to sleep and were killed in the blaze. 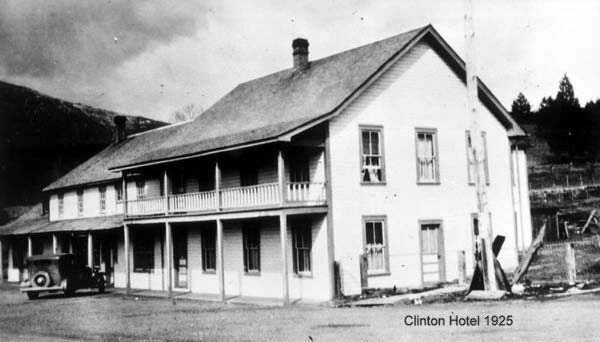 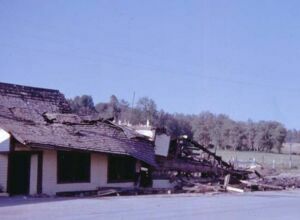 The remains of the hotel's foundations are still visible on the vacant lot near the end of downtown Clinton.